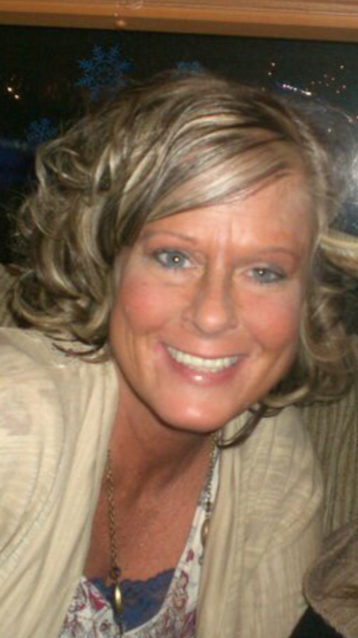 Carey L. Meyer, age 47, of Manteno, formerly of Peotone, passed away on Tuesday, February 5, 2019 at Loyola Medical Center in Maywood, IL. She was born on March 14, 1971 in Kankakee, the daughter of Thomas F. and Diana E. (Smith) Papp. She married William Gregory Meyer on June 29, 1991 in Peotone. She worked as a CNA at Our Lady of Victory and Riverside Ambulatory Surgery Center in Bourbonnais. She was a member of St. Joseph Catholic Church in Manteno. She loved playing games, cooking, and singing karaoke. She especially loved spending time with her family and always gave selflessly to others. She is survived by her husband, William Gregory Meyer of Manteno; her son, William Thomas Meyer of Manteno; her mother, Diana E. Papp of Peotone; her sisters, Tammy (Steve) Hoffman of Peotone, Kimberly Molik of Manteno, Penny Papp of Peotone, and Christy Papp of Lockport; her father-in-law and mother-in-law, William C. and Kendra Meyer of Manteno; her sisters-in-law, Kimberly (Ron) Kinn of Chicago and Jennifer (Steve) Lazzara of Florida; her nieces, Jill (Justin) Schroeder, Jami (Dave) Cyrier, Mandi (John) Byrne, Kara Molik, Kali (Ryan) Lancaster, Lauren (Craig) Nelson, Grace Kinn, Mateo Frontado, Majenna Frontado, Stevie Lazzara, and Analisa Lazzara; her great-nephews and great nieces, Kobe Baumgartner, Madison Schroeder, Mallory Schroeder, Liam Cyrier, Emmett Byrne, and Kylee Nelson: numerous aunts, uncles, and cousins; and her beloved dog, Sara Joo; She was preceded in death by her father, Thomas F. Papp, and by her paternal and maternal grandparents. Visitation will be held at the Fedde-Helfrich-Cross Funeral Home on Friday, February 8 from 2:00 p.m.-8:00 p.m. A funeral mass will be held at St. Joseph Catholic Church, 207 S. Main St., Manteno, IL, on Saturday, February 9 at 11:00 a.m., Father Albert Heidecke officiating. Cremation rites will be accorded following all services. Memorials may be directed to the family’s wishes.